Matching sunglasses. Shinjuku station, Tokyo. 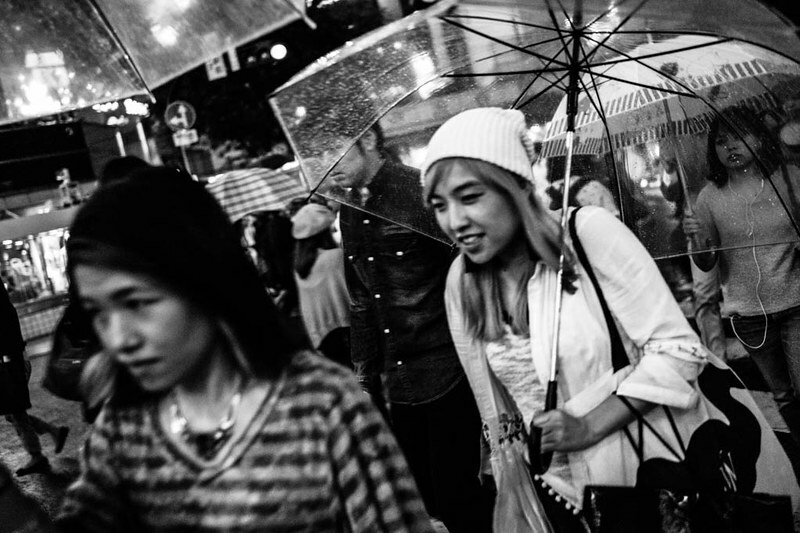 In this third part of Tokyo Dreaming – the complete series, we hit the streets of Tokyo, traversing through the bustling metropolis, down the streets and alleys, witnessing the unfolding of the Japanese culture infused with western values portrayed vividly on the streets. A eclectic mix of different people, some flamboyant, some utilitarian, all stirred within the melting pot of desires, visions and dreams of Tokyo. 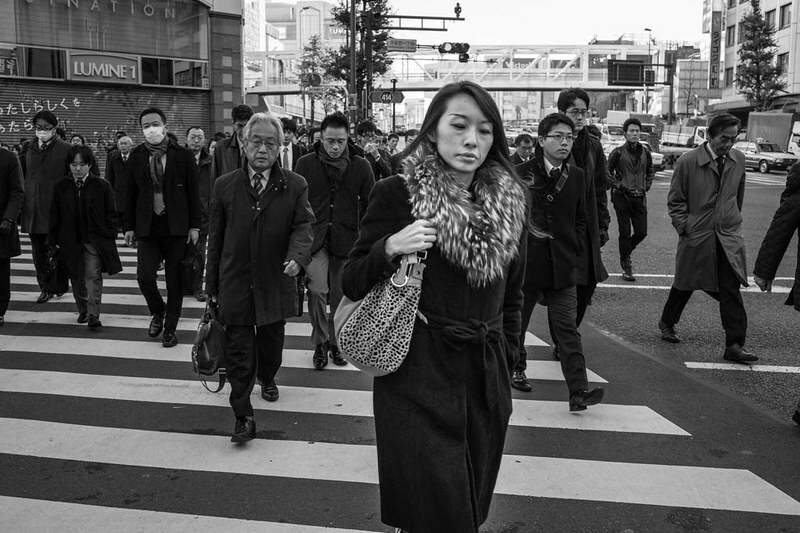 A woman leads the way across the crossing near Shinjuku station. 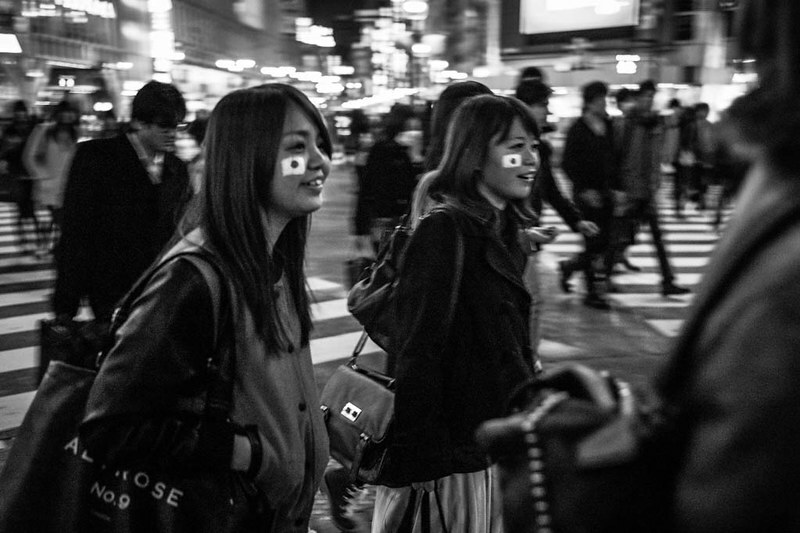 In Japan, gender equality is still an issue being worked on. 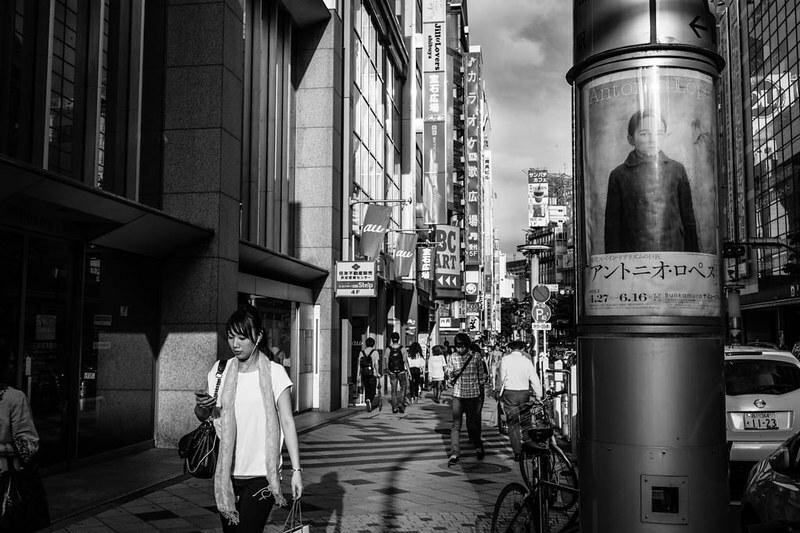 Tokyo Dreaming, for those who are reading this for the first time, is my long term project photographing the street life of Tokyo, started on a whim when I first flew to Tokyo to photograph and recover from the personal setback, and evolving into an obsession (and a solo exhibition earlier in 2013), as I hit the streets everyday, pulling images and pictures from my stream of consciousness as I walked the streets. The people of Japan had gone through numerous tragedies, and as I walked in their midst, I found healing and a renewed vigour for life. A “maid” waitress from one of the maid cafes found in Akihabara, an area famous for Otaku or Japanese amine and games shop. 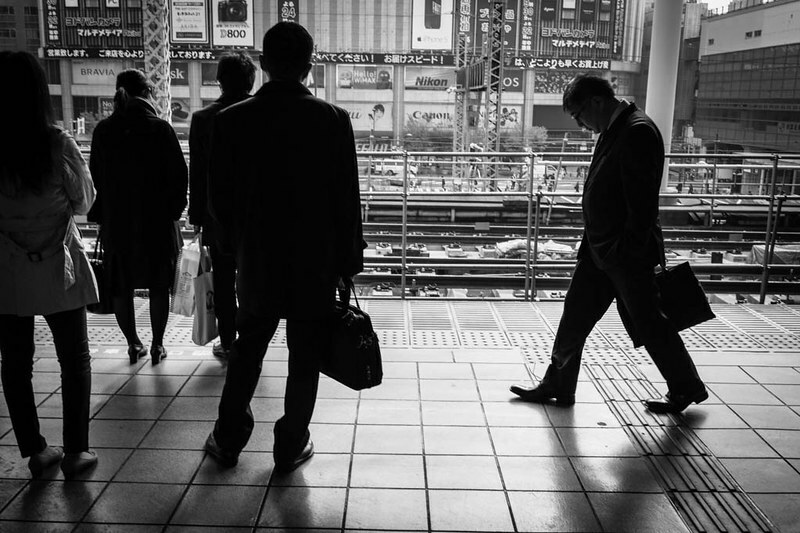 In Shinjuku, hurtling towards unknown destinations, figures dressed mostly in black hurried past me, their presence fleeting and transient, most are silent, brows furrowed in deep thought, lost in their own world in the journey of their commute to work. The early morning commute is the stuff that legends are made of – the packing of trains to their capacity, the huge mass of crowds surging through the streets. But one thing I noticed – everyone walks fast, and at any one time, you can always see something running. 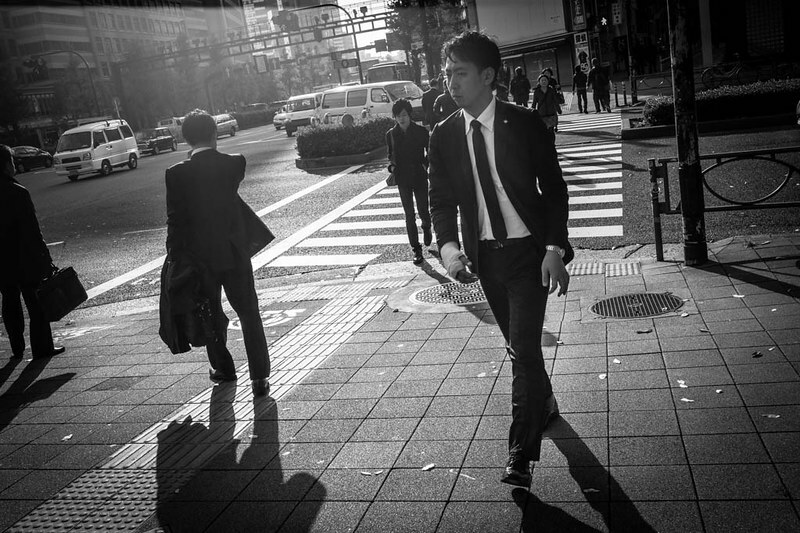 Commuting to work, lost in thoughts early in the morning at Shinjuku. 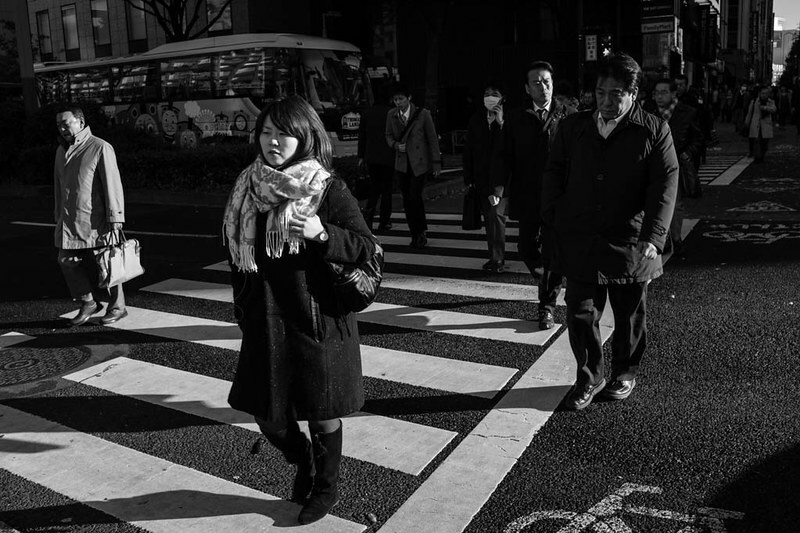 It can be busy on the streets with the noise of traffic, yet silent at the same time at people walk briskly to work without stopping and without speaking to each other. At night, Shinjuku is still as crowded (indeed, Shinjuku and Shibuya are truly cities that never sleep. 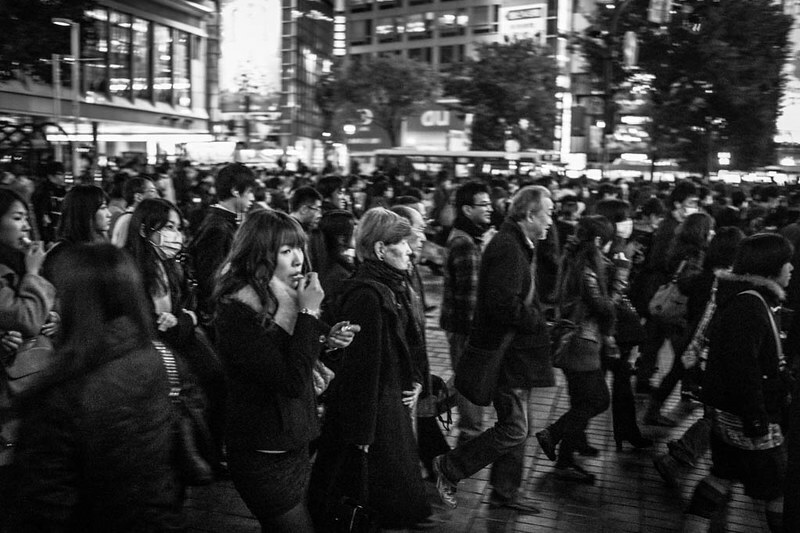 On the weekend, Shibuya can have more people compared to the day! 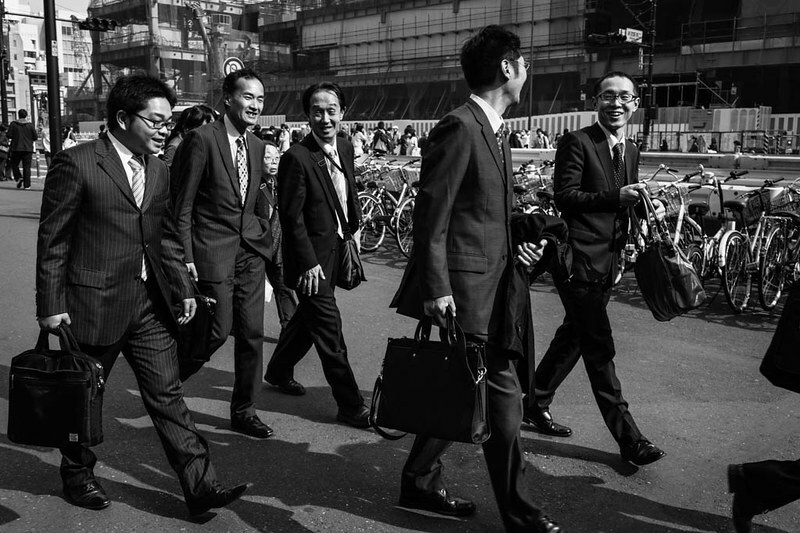 The mood is visibly relaxed during evening time as this group of salarymen head to dinner at Shinjuku. 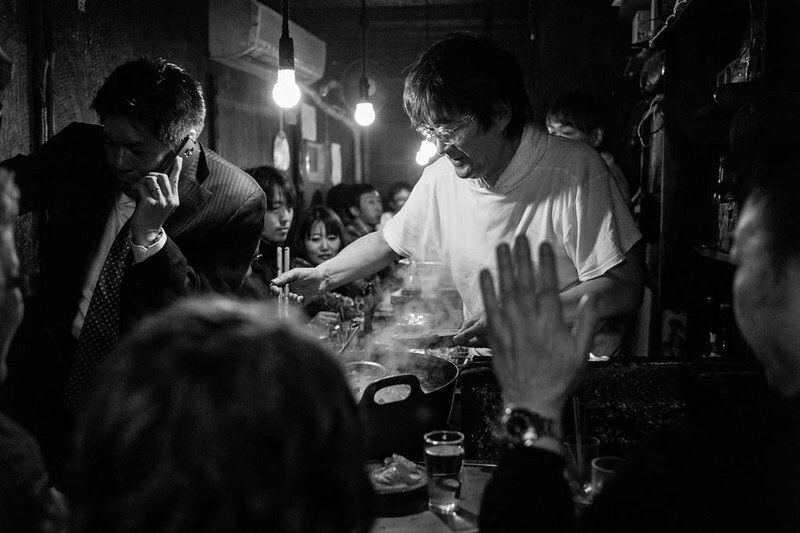 Dinner after work – people often eat out in Tokyo. This small popular restaurant is located in one of the small food alleys in Shinjuku. Pachinko is a popular past time in Japan – a form of pinball / slot machine found commonly across Tokyo in various Pachinko parlours, a great stress reliever for the working population, while youths flocked to the arcades. 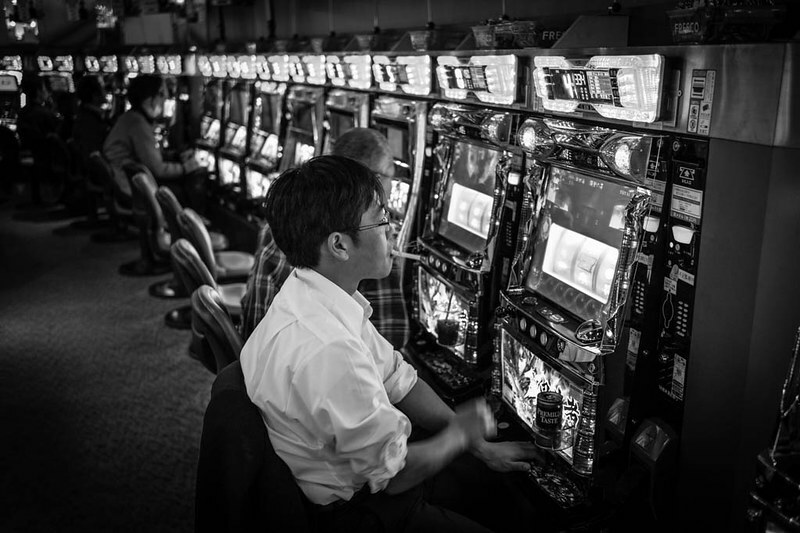 Pachinko is a popular past time in Japan among the stressed out working adults, and teenagers too! 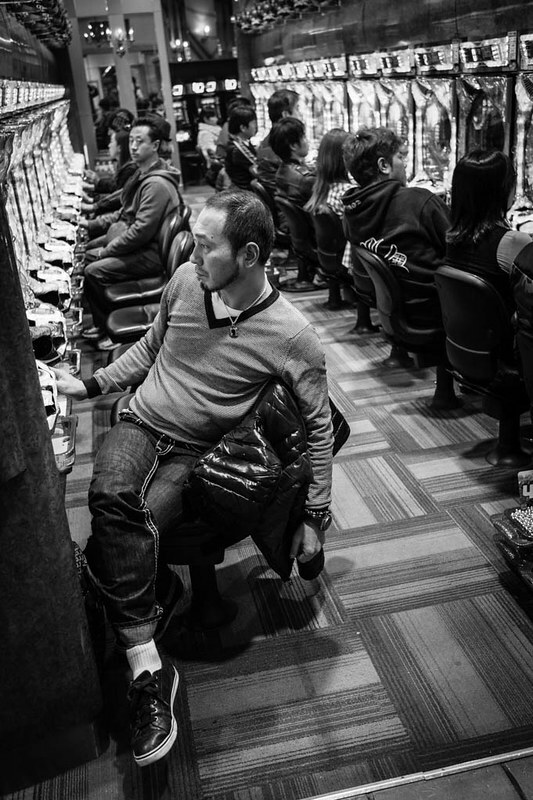 A man slumped in his seat as he gambled at a Pachinko parlour in Shinjuku. 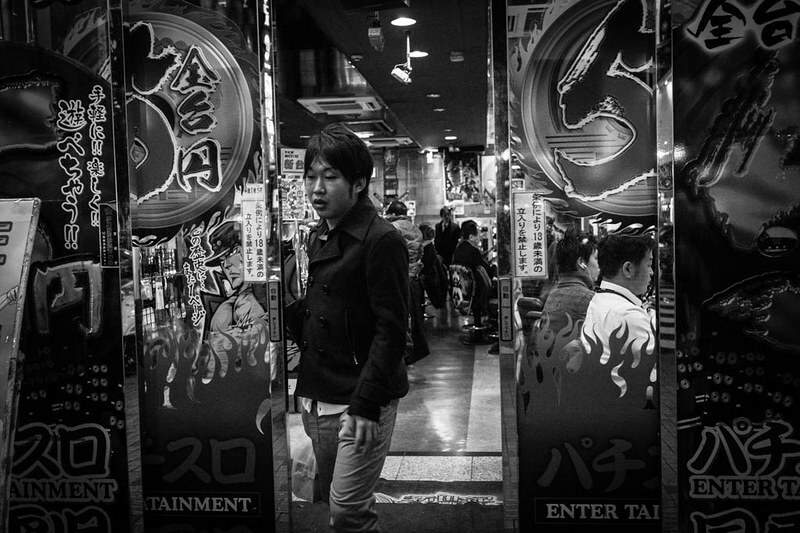 A youth leaving one of the numerous arcades found in Shinjuku. 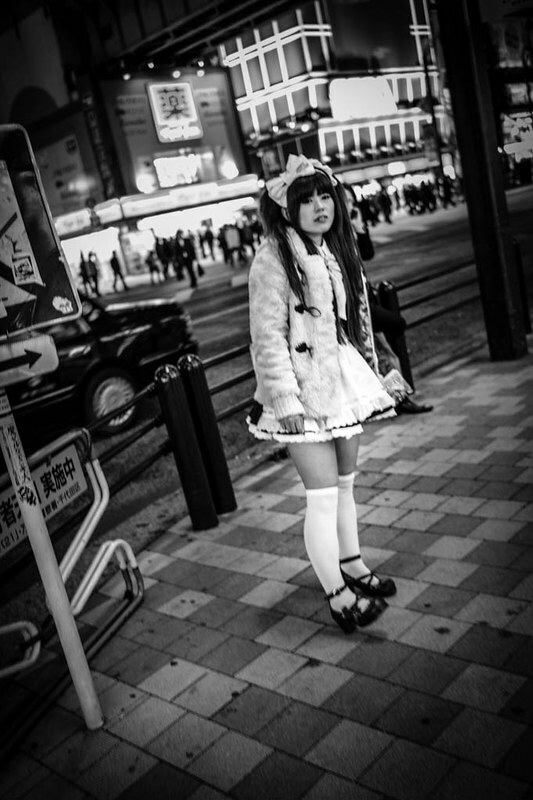 For some, the lust of the flesh takes over in the seedier areas of Shinjuku, most notably the Kabukicho area, an entertainment and red light district in Shinjuku, the location of many host and hostess clubs, love hotels, shops, restaurants, and nightclubs, and is also often called the “Sleepless Town”. 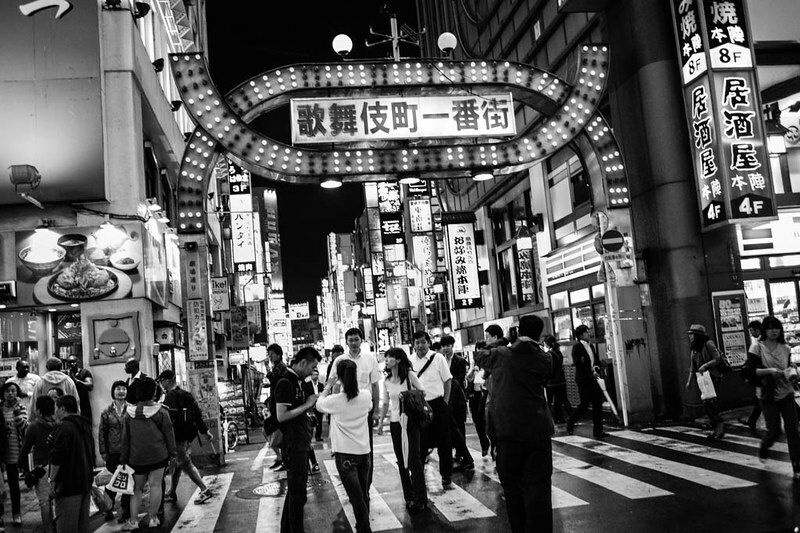 The entrance to the infamous Kabukicho area, an area where many love hotels, night clubs, host and hostress clubs are found. 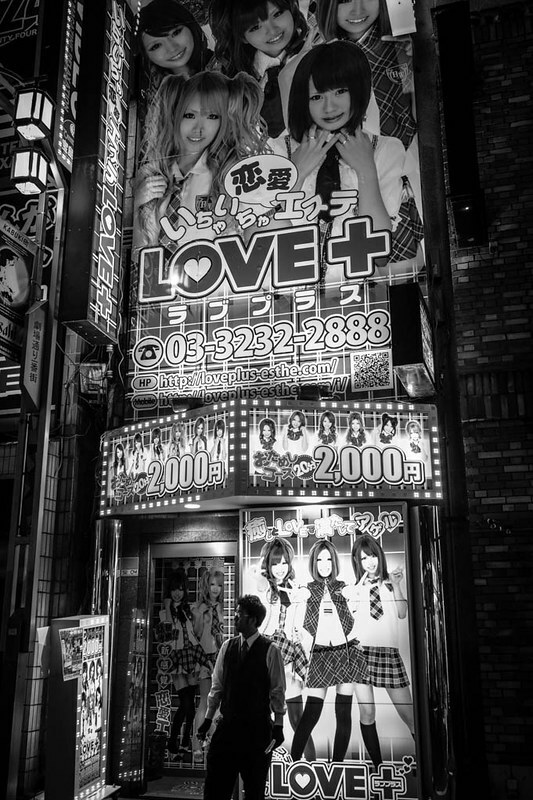 Young school girls in school uniform adorn the outside of this love hotel, promising love and company. A DVD shop in Kabukicho, Shinjuku. In Shibuya, the sounds of TV advertising on large colorful billboards permeates through the busiest crossing in the world, the Shibuya scramble 6 way crossing, intermixed with the cacophony of sounds of chatter and laughter, the Japanese (plus tourists) in more relaxed moods, on their way to party or dinner at the numerous restaurants and eating places. 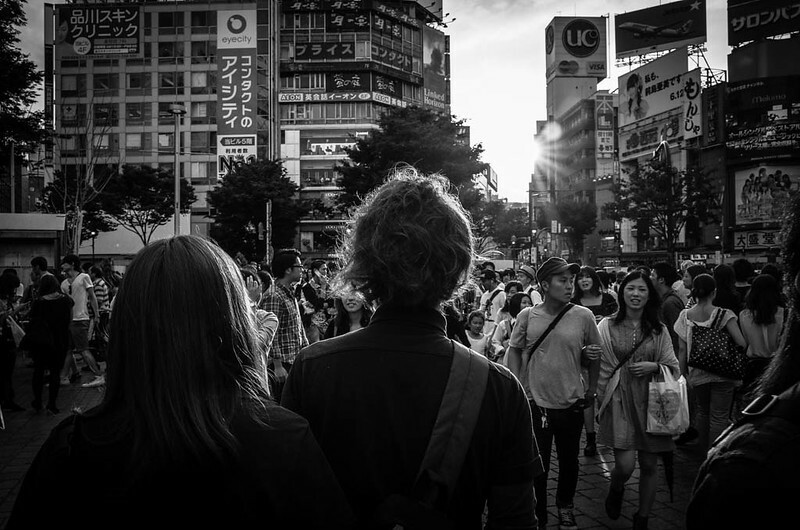 Hair light – a couple hit by the setting sun at Shibuya Crossing. 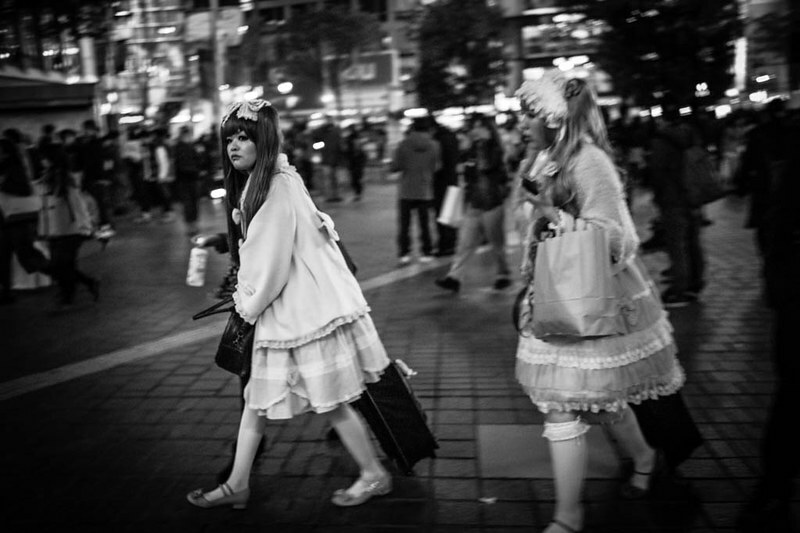 2 girls dressed in anime costume crossing Shibuya. 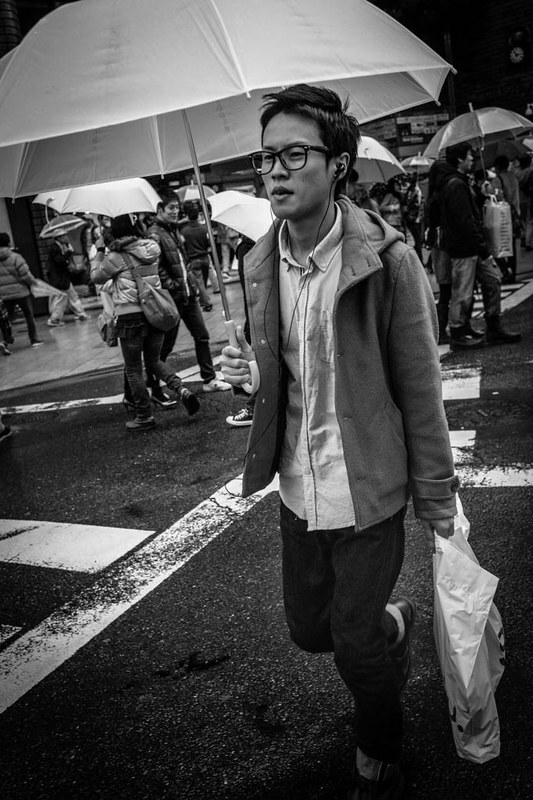 Man crossing the street at Shibuya. 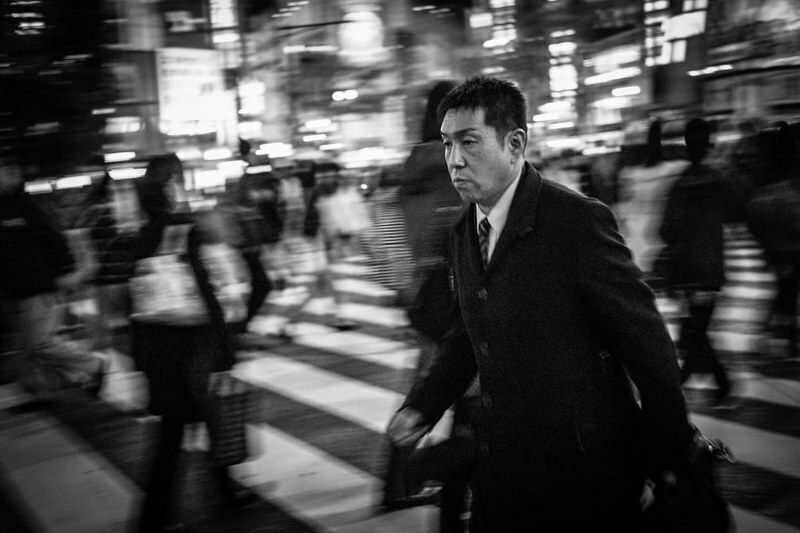 In Tokyo, everyone walks fast, and the pace of life does not slow down even at night. 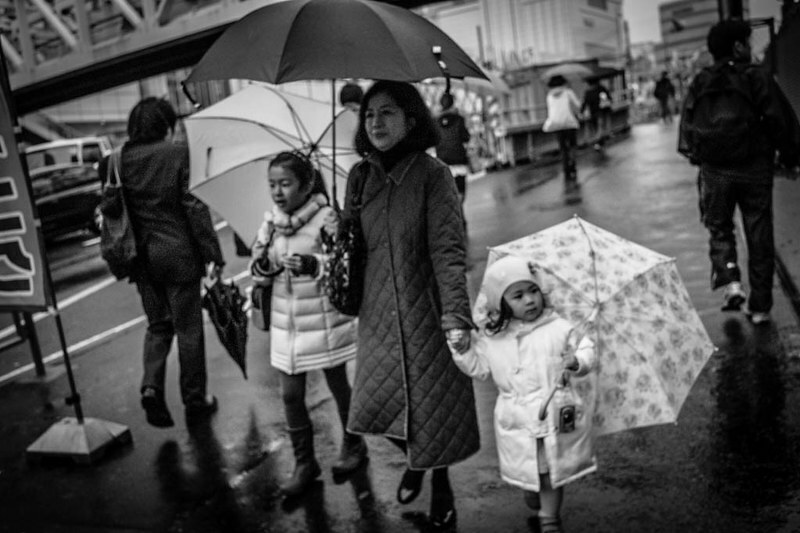 Rain, a frequent occurrence in Tokyo as I found out, brings out the most pleasing of sights – the canopy of mostly transparent see-through umbrellas covering the entire city. 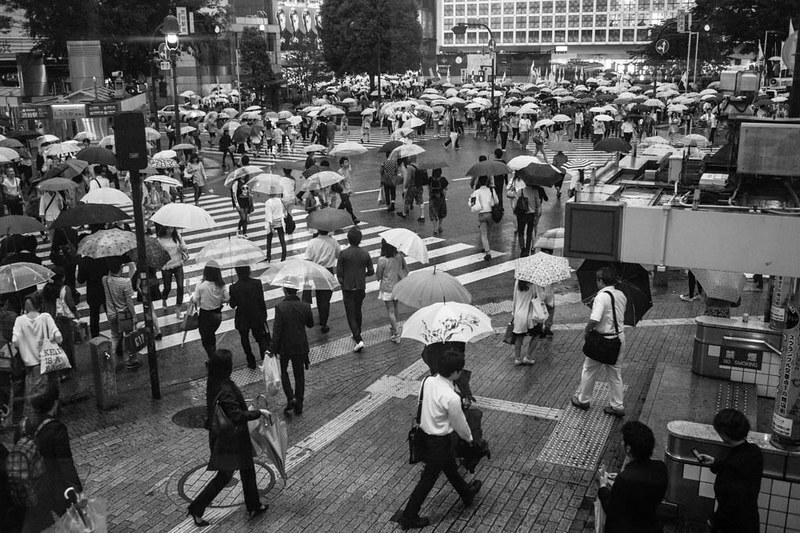 In Tokyo, I try not to use an umbrella as much as possible, so absorbed was I in taking in the sights of people scurrying in the rain. A canopy of umbrellas at Shibuya crossing. 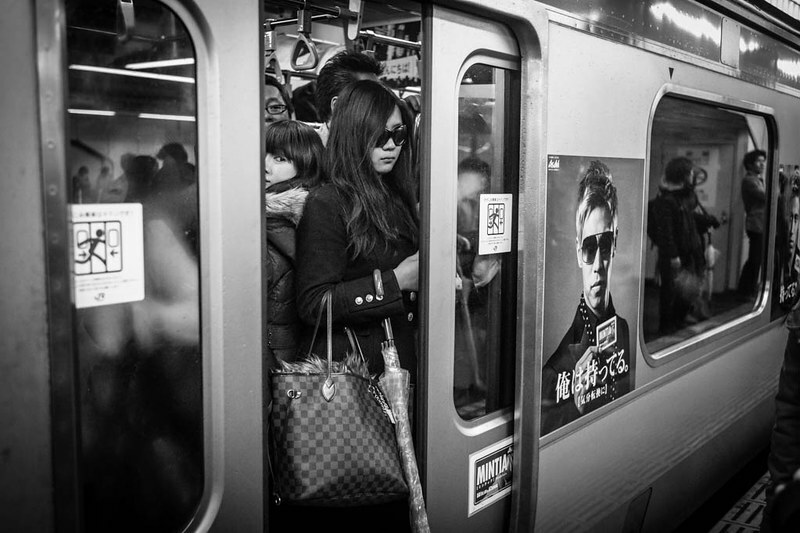 A woman using her ipad in the train in Shinjuku. 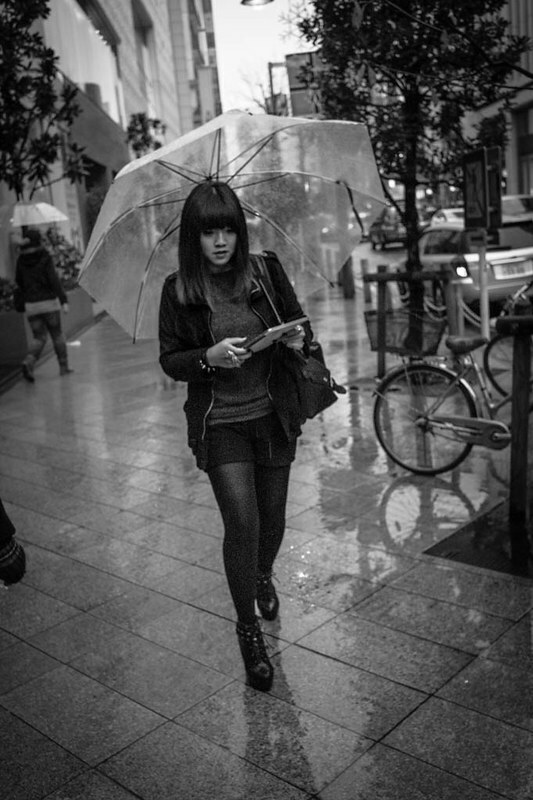 Girl in Shinjuku with transparent umbrella – the transparent umbrella is ubiquitous in Tokyo, and is one of my favorite sights. 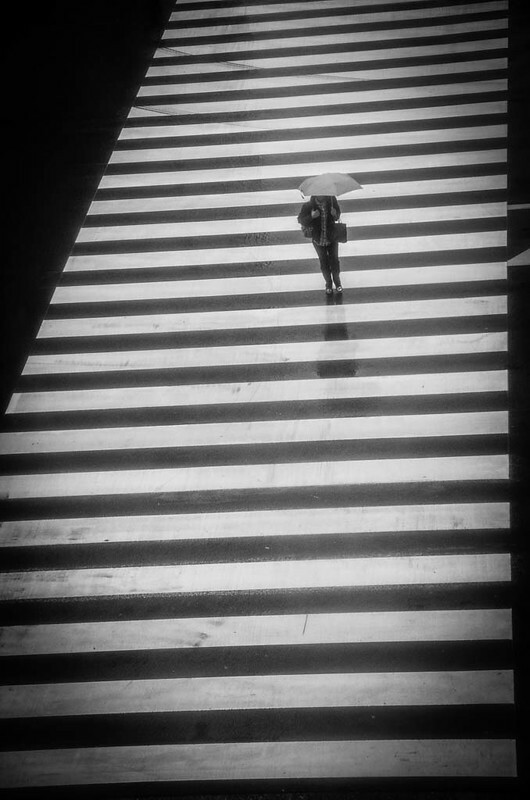 A young man in Shinjuku crossing the road in the rain. Night time is another time I love in Tokyo – in the two places where I hanged out the most, Shinjuku and Shibuya, there was never a quiet moment even late at night. The streets are always full of life. 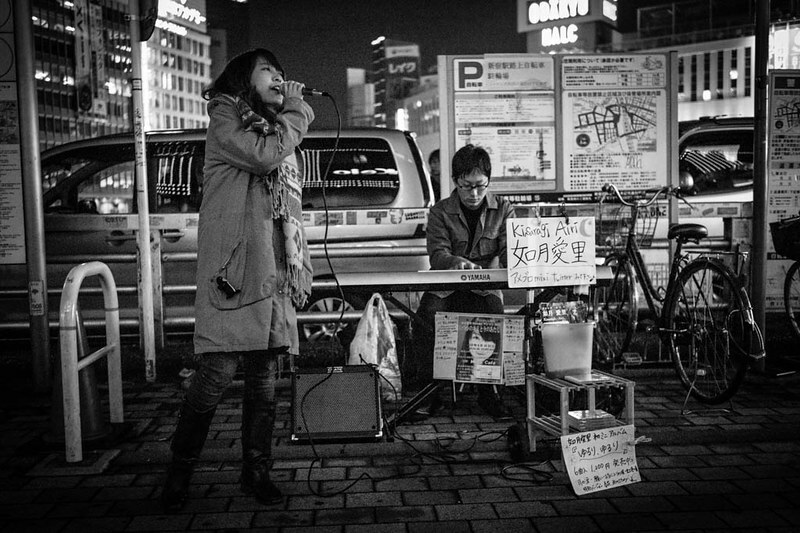 A busker singing near Shinjuku station. 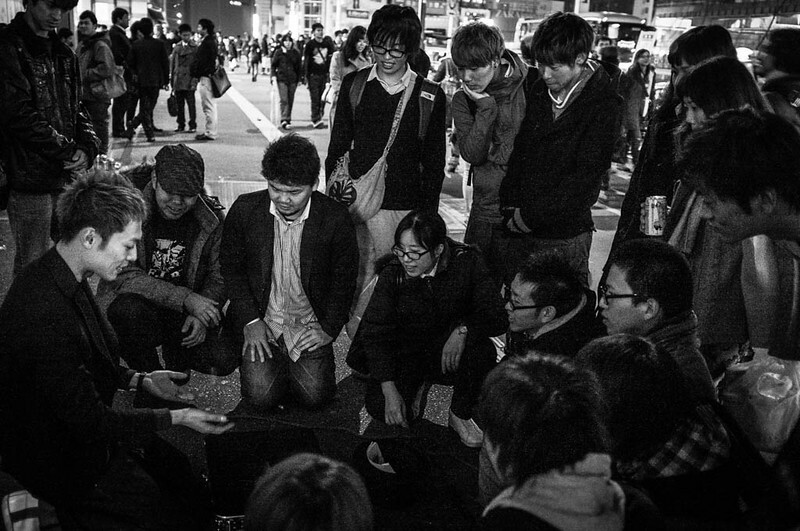 A street magician charms passerbys with his sleight of hand. 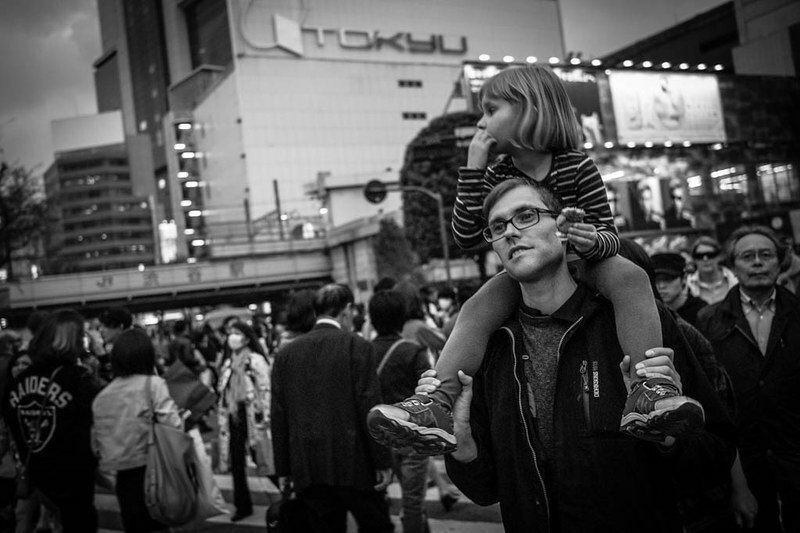 Tokyo is in my book, one of the most beautiful cities to live in. I’ve posted a few posts about Tokyo before, one on the 1-year anniversary of this blog last year (and as you can tell from the date, we are now 2 years old!!!! 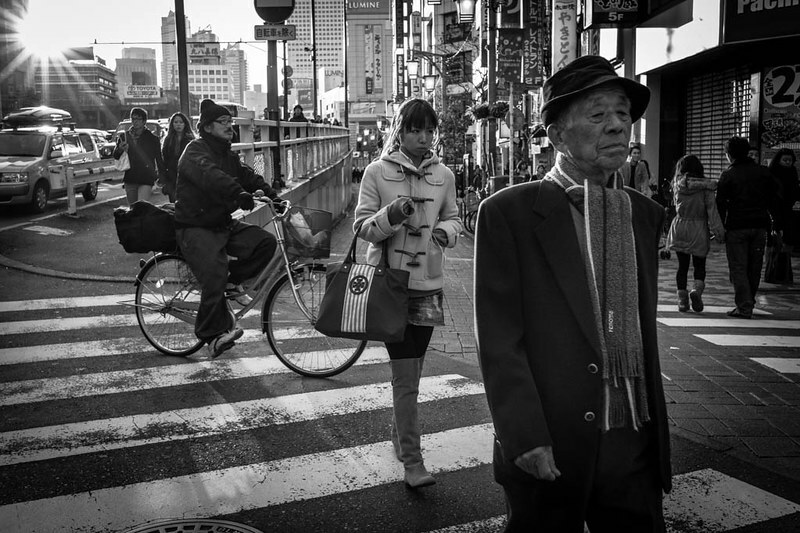 ), one of the crossroads of Shibuya, one on street photography in Japan, and one of Tokyo Dreaming, the exhibition of my work in Tokyo that took place for 2 months from December of 2012 to the January of 2013. In addition, you can also catch up on Tokyo Dreaming – The Complete series Part I, and Tokyo Dreaming II – The Gardens of Tokyo ft. Yasukuni Shine and Ueno Park. I’m currently working on a book, and hoping to put up another exhibition. Watch out for part 4 of this instalment, where I will show more pictures which have not been previously seen. This is an on-going work. Edit: Part 4 is out now!